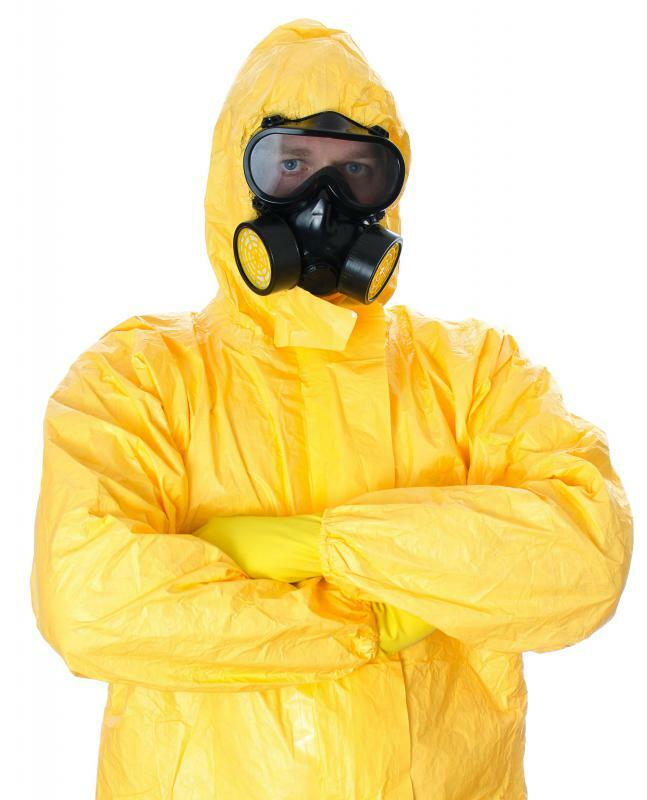 Low level waste includes used, protective clothing that has been worn by staff who work with radioactive materials. Proper disposal of radioactive waste is crucial. 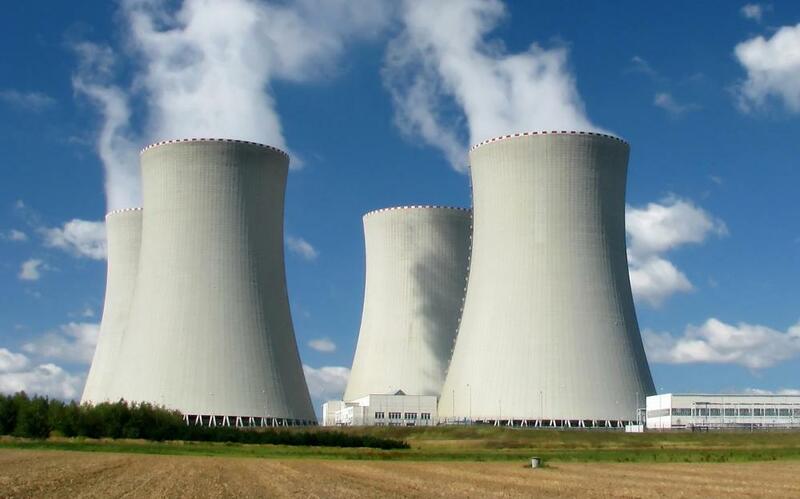 Nuclear power plants generate spent fuel rods as a byproduct of the fission process. The safe disposal of nuclear waste is an ongoing and controversial issue. Radioactive waste is usually buried in underground vaults. Nuclear waste is the radioactive waste produced by nuclear reactors, or left over from research projects, medical uses, and the manufacture of nuclear weapons. Methods of classification can vary somewhat from country to country, but two categories — high-level waste (HLW), and low-level waste (LLW) — are generally recognized, based on radioactivity, source and half-life. These materials are potentially dangerous because they emit ionizing radiation, which can damage or kill cells, produce mutations and birth defects, and cause cancer. The degree of risk depends upon the level, and type, of radioactivity, with some materials being very hazardous in raw form, and others posing little threat in most circumstances. 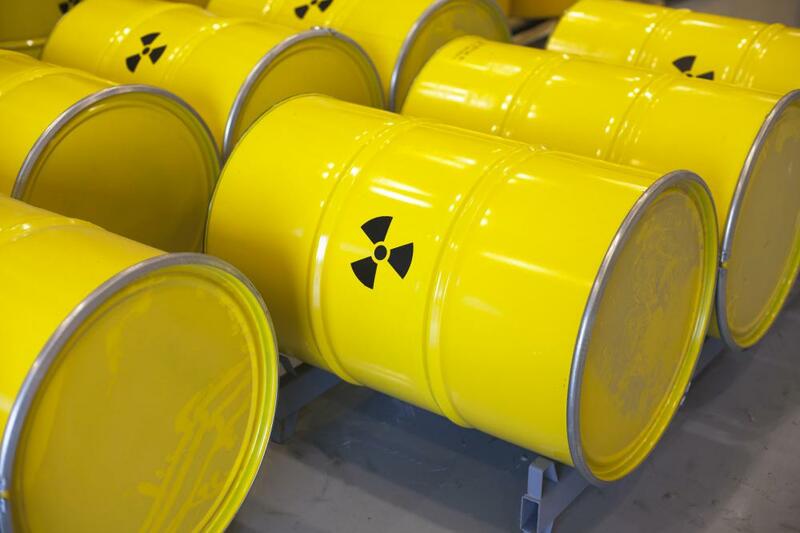 The safe disposal of nuclear waste is an ongoing and controversial issue. High-level waste consists mainly of spent fuel rods from nuclear reactors. These power plants rely on nuclear fission to generate heat, and the fuel is made into rods that can be moved in and out of the reactor core to control the process. After a time, the rate of fission in a rod will decrease to the point where it is no longer efficient, and the rod will be removed. The removed rods are known as spent fuel rods and are highly radioactive, containing a number of fission products — radioactive elements created by the fission process. These elements decay at different rates, and over time, the rods become less radioactive, but will remain potentially dangerous for many thousands of years. Low-level waste, in the USA, includes essentially everything that does not come into the high-level waste category. It comes from a wide variety of sources. It consists of materials that have come into contact with radioactive substances, or which have become radioactive themselves due to exposure to some forms of radiation, as well as small quantities of radioisotopes from research establishments and hospitals. Examples are items of protective clothing worn by staff who work with radioactive materials, and syringes and needles used for the injection of radioisotopes for medical purposes. It typically remains potentially hazardous for between a few tens and a few hundreds of years. Some countries have an intermediate category of waste. This is not recognized in the USA, but is used in Europe, and includes discarded parts of nuclear reactors that have come into contact with nuclear fuel, and materials resulting from the decommissioning of reactors. Another category is “mill tailings,” which are leftovers from the extraction of uranium from its ore. These are only slightly radioactive, and are usually thought to pose more of a chemical than a radiological hazard, as they often contain toxic heavy metals. High-level waste is generally stored on site at nuclear power plants until a proper disposal site becomes available. During this initial storage period it is kept under at least 20 feet (6 meters) of water, which absorbs the radiation. The favored option for long-term disposal is deep under the ground, with the radioactive material encased in glass, and carefully monitored. Finding a suitable disposal site is, however, problematical, as plans to store highly radioactive waste at any given location tend to meet with fierce opposition. Spent fuel rods may also be stored above ground in large metal and concrete containers. Another option for spent fuel rods is reprocessing. After a nuclear fuel bundle has been removed from a reactor, it still contains most of its original uranium, but mixed with highly radioactive fission products. This radioactive cocktail can be separated through a process called nuclear reprocessing, which sorts the elements in the spent fuel, and allows useful fuel to be recovered and reused. This process still leaves behind some highly radioactive waste that needs to be disposed of, but the quantity is very much smaller. 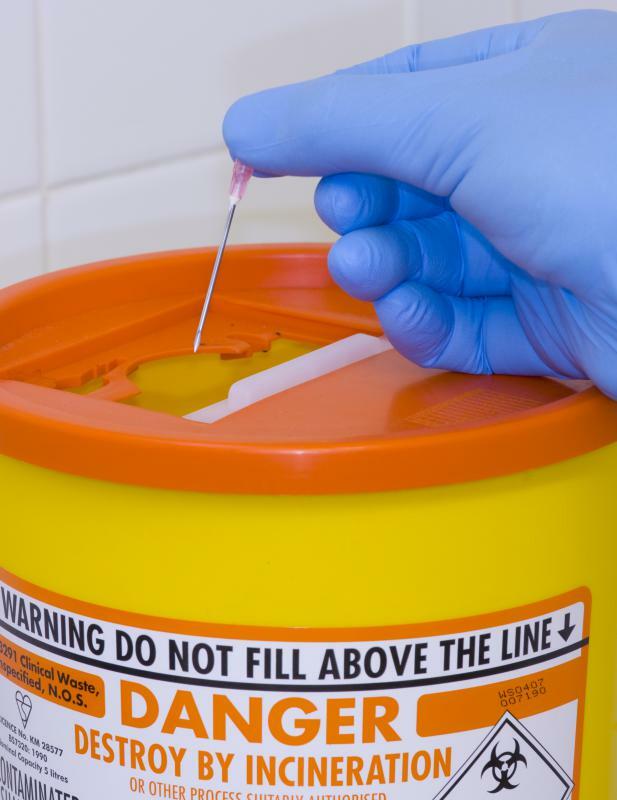 As of 2013, reprocessing is not practiced in the USA, but is carried out in the UK and in France. 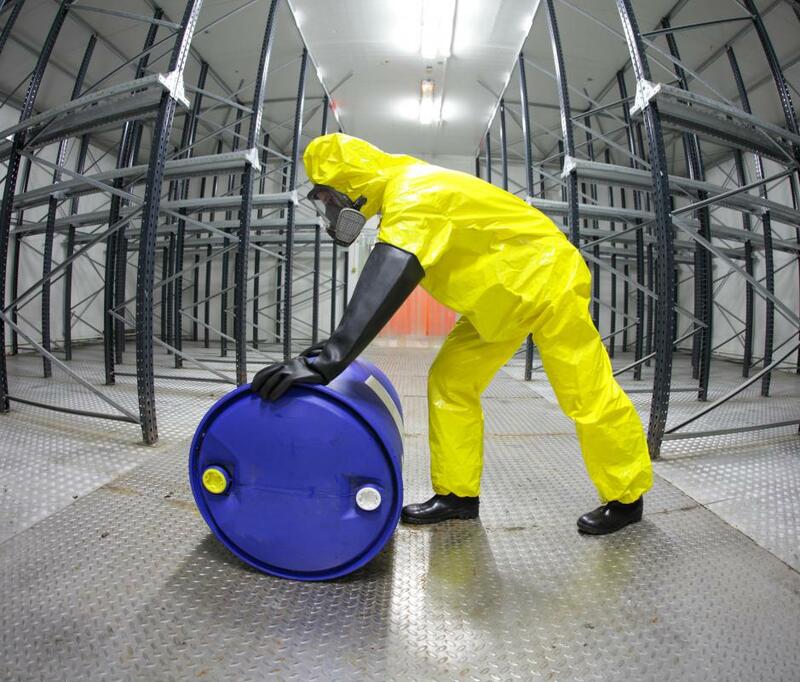 Low-level waste is stored in special containers that, where necessary, have a degree of shielding appropriate to the level, and type, of radioactivity. Substances that emit alpha radiation do not require shielding, as they are only dangerous if swallowed or inhaled. Gamma radiation and neutron emitters, however, require significant shielding. As with high-level waste, the materials are buried underground, but usually relatively near the surface. Nuclear waste is potentially dangerous because it emits types of radiation that have enough energy to ionize atoms, meaning that the atoms become electrically charged due, for example, to electrons being removed. In the human body, these charged atoms can interact with other atoms, causing chemical changes in cells and in DNA. High levels of ionizing radiation kill cells and can cause immediate life-threatening effects, while lower levels can cause genetic damage and cancer. To put things in perspective, however, nuclear waste is not necessarily more dangerous than chemical poisons, which are produced in much larger quantities. It has been estimated that public exposure to cancer-causing agents from coal-fired power stations is much greater than from nuclear waste, due to chemicals, and natural radioactive elements, released into the atmosphere from the burning of coal. What is a Thermal Reactor? It is these greedy investors- who keep this dangerous industry going on. Nuclear plants should absolutely be banned. Is the stockpiling of nuclear waste of all levels in Yucca Mountain, Nevada away from the population in reserve for those advanced future technical process to meet or excel France and Great Britain's' recycling, and if so, why is the coal industry not more restricted to a long term process of phasing out coal as we phase in nuclear power wastes to have cleaner and more efficient energy for future generations, as they gain knowledge to couple this energy train to move forward? So what exactly happens to nuclear waste? How do you dispose of it, who uses it, and such? With the ongoing crisis at Fukushima and the new leaks at Hanford, there is a renewed interest in technology that can neutralize nuclear waste, spent fuel rods and decontamination for almost any situation. PACE (Planetary Association for Clean Energy), an assortment of scientists from around the globe, has investigated and verified 10 different technologies which have applications for nuclear waste elimination. You can watch a demonstration online of one of their members, Mark Porringa, former Chief Engineer at Chalk River, world’s largest nuclear research reactor, neutralize Americium 241, a Radioactive Waste in about 11 seconds. Until people believe something can be done, we will be stuck with an out of date way of viewing the problem, ridiculous costs, extreme risks from radioactive poisons, while politicians and their bureaucrats protect the current industry profits and their stupid storage programs. We need some loud noise demanding change to eliminate nuclear waste. nuclear waste could probably be an alternative to everyday electricity, because it doesn't produce carbon emissions. although solar power plants would be the best alternative because they are safer than nuclear power plants, and besides they don't have a great chances of exploding like nuclear power plants, obviously it would be the best option, especially for western countries. what is nuclear waste made up of? I am learning about this for a research paper and this website gave the most useful information yet. "if it's so safe, why don't you go pick up a fuel rod with your bare hands?" It's funny you should mention that - I happen to have done precisely that, and I'm still here. The primary risk of doing that is dropping it - fuel rods are extremely expensive! A single, unused fuel rod is not dangerous - you need neutrons to make neutrons. Don't forget where all this uranium came from in the first place: the ground. People don't drop dead when they inadvertently walk over a rich uranium seam. bad as burning coal though. While there's only a small amount of radioactive material in a lump of coal, you go through a heck of a lot of coal per gigawatt, and it all ends up in the atmosphere instead of safely buried in lead lined caskets, not to mention all the other nasty products of combustion. In the final analysis, I'd rather live next to a nuclear plant, and run the minuscule risk of containment breach and contamination, than next to a coal plant and be completely certain of being exposed to masses of carcinogens. Breeder or other reactor technology could greatly extend the lifetime of the nuclear fuel available on the planet and the small amount of long term waste could certainly be launched off the earth by the use of 'super gun' cannons rather than rockets. (Look up Gerald Bull, a Canadian who was building a ballistic satellite launch cannon for Saddam Hussein and was assassinated by Israel). it is not the naturally occurring decay that needs to be addressed. it is the high concentration levels that humans have processed and continue to do so that does. oh, by the way, if it's so safe, why don't you go pick up a fuel rod with your bare hands? NORM is not the biggest source. Whoever said that wind power is much better in terms of C02 emissions is just not correct. Nuclear power does not produce C02. It heats water for steam which drives turbines (put very simply). No C02! To the people who disagree that the largest source of nuclear waste is natural: Where do they get the fuel for the radioactive plants then? Uranium is naturally occurring. i thought nuclear waste can combust and kill you --something like that. I'm learning about this in english and this was very helpful. what is needed for the care of nuclear waste? and says people are too concerned with this stuff. and causes cancer, is nothing to be concerned about. Guns are far more dangerous, and bombs. This article is folly, as where it says the largest source of nuclear waste is naturally occurring radioactive material. In the struggle to make the 'nuke' bombs to drop on Japan in World War II, the Washington site was badly contaminated. For a time, it was normal to dump the high level waste into the deep oceans. This web page makes out the waste issue to be comparing AIDS to a virus with flu-like symptoms. is far worse, and this site must be for people who like to pretend that things are fine when the truth is things are clearly not. This is a joke. there is no such thing as disposal. things are either dispersed, or contained. Usually containment leads to dispersal because the containers break down. And about particle accelerators? This article is a joke. I prefer the early 60's propaganda to this garbage. It seems people like to read lies that tell them everything is fine. Hurray for the ostrich. Bury your head in the sand. Whatever happened to intelligence and seeking the truth? I guess I must be an idealist and should not spoil the fantasy of the safe nuclear future and radioactive waste dumped in our oceans! busy making up lies and hiding the truth. Doomed, doomed, doomed. Well believe me, when the truth comes out, it will be a stinking mess. Of course by then, it will be a mistake of the past, and well, it is not right to complain about the past. That is wrong. as they provide for our every need. The irony, folly and tosh utter tripe. God help us all. To dispose of nuclear waste store in safe location for about 24,000 years with armed guards so someone does not come along and steal it. What are the health risks of nuclear waste? nuclear waste is dumb and inferior to other sources. no one is shooting nuclear waste into the sun! If you're going to say something then research it first. Nuclear power is the future. Nuclear power politics are the USA's biggest problem to increasing the use of nuke plants. Give everyone a choice on paying for their electricity based on whatever energy source they choose. Let's see if the wind and solar lovers will put their money where their mouth is. I agree we should recycle waste like other countries do. Let me make one thing clear: no nuclear waste is being shot at the sun! Wind and solar energy cannot handle the current demand for electricity. We cannot bury waste miles down, because we can't dig that far down without the drills melting. The only ways to get rid of it is to contain it, which the USA does, or be smart like the rest of the world and refine it and then recycle into other projects. In response to comment 17: Cesium-137 is not the longest-lived fission product. Iodine-129 is the longest-lived fission product with a half-life of 15.7 million years. I-129 is particularly dangerous due to its high mobility and health hazards. If I-129 leached out and came in contact with groundwater (if stored in a geologic repository) it could come in contact with drinking water and if consumed by humans would be concentrated in the thyroid gland causing cancer or other health problems. The storage of this particular fission product is challenging. I agree that the US should adopt a closed fuel cycle (including reprocessing and long-term storage). The US holds no reprocessing program. However, there are many new age theoretical approaches to re-using nuclear waste, such as a terra reactor. It's kind of funny to see so many people think we actually shoot containers of waste into the sun. The USA should do what France, Great Britain, Japan and other countries that use nuclear power do - reprocess/recycle nuclear waste. If you do that, the longest lived isotope in the waste will have a half-life of just 30 years (Cesium-137). *All* the long-lived isotopes can be burned as fuel if fission products like Cesium-137 are removed. The *only* reason the USA doesn't do that is that Congress *outlawed* it in 1978 at the behest of those opposed to nuclear power. It would make so much more sense just not to use nuclear power. Instead, we should use wind energy and solar power which is much better when it comes to CO2 emissions and the safety! Why don't we just not use nuclear power? Nuclear waste is not shot into the sun! is there another way to dispose of nuclear waste. is there another place to shoot nuclear waste. most nuclear waste is dropped into the sea or shot into the sun. Most nuclear waste is disposed of by being shot into the sun. In what ways does the nuclear waste impact the environment? currently there is no known way to "dispose" of the fuel rods. all they can do is to store it somewhere "safe" till they can either figure something out for it or till the radioactivity subsides. Currently, Radwaste is stored on site at the power plant. The US has initiated a plan for a central radwaste burial site at Yucca Mountain, Nevada to keep the radiated material away from populous areas. how do we dispose of nuclear waste?